Every living being has its lifespan; like humans possess 100 years, tortoise for 200 years, a dog for 20 years and much more like that. There are many trees and plants which are quite nearer to immortality! They possess very high lifespan actually. Generations after generations and decades after decades, the world has changed but the banyan tree stands erect witnessing the changes around it. Yes, in our present topic we will be talking Banyan tree. Banyan is one of the trees which has got a special mention in Hindu mythology and is a well-known tree. It is a standing-straight, erect and one of the high values tree. It bears oval-round shaped leaves which resembles those of Jack-fruit leaves.The leaves of the banyan tree are large, leathery, glossy green and elliptical in shape. Like most fig-trees, the leaf bud is covered by two large scales. In India, Banyan tree is regarded as a sacred tree. Most of the temples are built beneath it only. Branches of the tree are widely spread out from which grows Ariel roots, which grow downwards and touch the ground. The stem is whitish brown and thick.The plant also bears flowers which are actually not visible; it develops into fruits which are round with small and numerous seeds in it. Trees bear fresh leaves in May-June and bear fruits throughout the year. Now, let’s move to our concerned topic which is called ‘Health benefits of Banyan’. 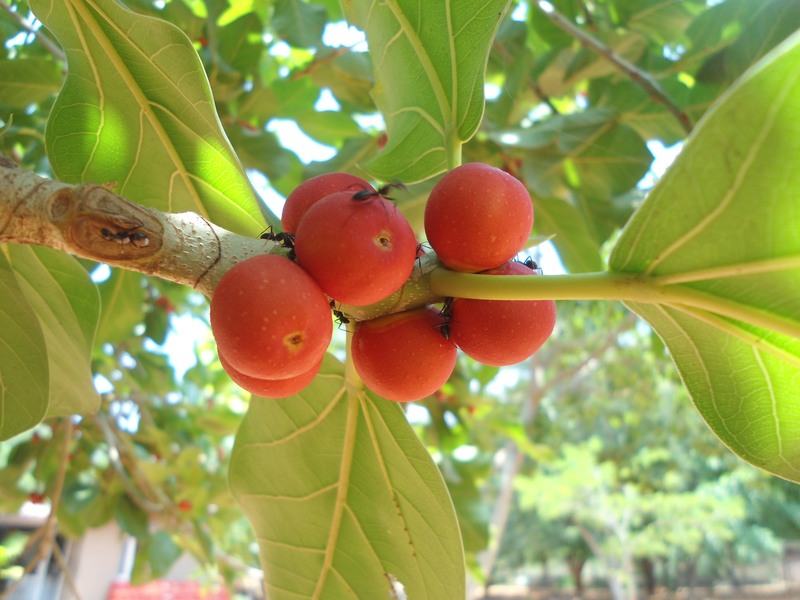 Here we will be talking how to use this tree and its products for health purposes. Banyan tree is available everywhere and affordable. THus, it can be used to cure ailments and to stay healthy. Take yellow leaves and flowers of Banyan, liquorice root, lotus flower and saffron. Prepare a paste with water and apply on the face. It brings glow to the skin. Take few drops of banyan milk and mix with mustard oil. Put 2-2 drops of this mixture in the ears. It cures the boils and kills the worms. Take 20-25 gm ash of its leaves and mix 100 ml linseed oil in it. Massage this oil on the head. It cures baldness and grow new hair. Take extract of soft leaves and mix equal amount of mustard oil in it. Cook the oil till it forms a medicated oil. Apply this oil on hairs. Take equal quantities of Ariel root of Banyan and sesame seeds. Grind two into a fine powder and apply on head. After 30 minutes clean the head and apply coconut and bhringraj oil on head. It helps increase the hair length. Grind the seeds of Banyan into a fine powder. Take 1-2 gm of this powder with cow’s milk twice a day. Take equal quantities of fine powder of fresh bark and sugar. Give 4 gm of this mixture to the patient with fresh water. Or, give 4 gm powder of aerial roots twice a day with fresh water. It cures urinary disorders and seminal weakness. Mix 10-20 gm powder of ripe fruits with sugar candy and give it with milk. It is nutritive and rich in minerals, thus a good cure for all types of Urinary disorders. Grind 1/2 kg leaves and soak them in 4 liter water overnight. Next morning boil them till the water gets 1 liter. Add 1/2 liter mustard oil in the water and cook till only the oil is left. Strain the solution and store it. It cures both dry and wet types of itching. So, in this way we came to know how can, this huge plant can be so beneficial and good for health. Believe in Nature and see its magic. Take care and live well! 1. Collect the red fruit of Banyan. 2. Cut it into pieces and dry under the sun. 3. Fry some cumin seeds for two minutes, along with the dried red fruits of Banyan. 4. Grind these and mix with sugar candy. 5. Store in a glass bottle and give as per the advice of doctor. Why is this tree not allowed to be planted inside house, not even in form of bonsai? Banyan tree milk act as a medicine. It cannot be taken directly, as for medicinal purposes some mix should be there. Consult your doctor before consuming this, as it can have different results as per your doshas and body type. I suffer in excessive urination . When I take more water then this problem continues . I read a Bunyan tree which is good for urination . Can u suggest a herbal for me .